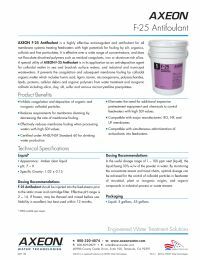 AXEON F-25 Antifoulant is designed for use in all membrane systems treating feedwaters with high potentials for fouling by silt, organics, colloids, and fine particles. This highly effective anticoagulant can be used with wide range of concentrations, and does not flocculate dissolved polymers such as residual coagulants, iron, or aluminum-rich silica. The AXEON F-25 Antifoulant also acts as an anti-deposition agent for colloidal matter in sea and brackish surface waters, as well as industrial and municipal wastewaters. This allows the F-25 to prevent coagulation and membrane fouling by both colloidal organic matter and inorganic colloids. NSF Certified. 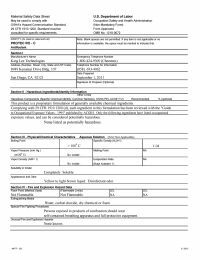 AXEON F-25 Antifoulant is certified to NSF/ANSI Standard 60 for drinking water production. Made in the USA. 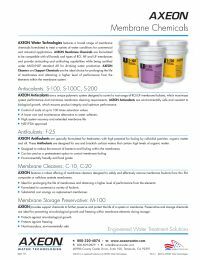 AXEON F-25 Antifoulant is proudly made and manufactured in the USA.